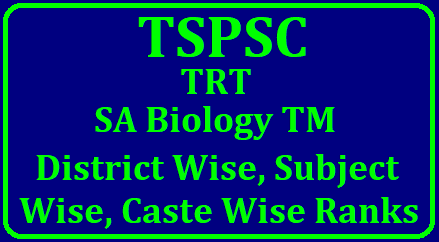 TSPSC has released TRT SA General merit list.We have prepared TRT SA District Ranks. This is not final..TSPSC will release Final list after certificate verification. Below we have given Subject wise District Rank Generator.